Have you been asking yourself what else that beet top pesto I posted yesterday would be good for? 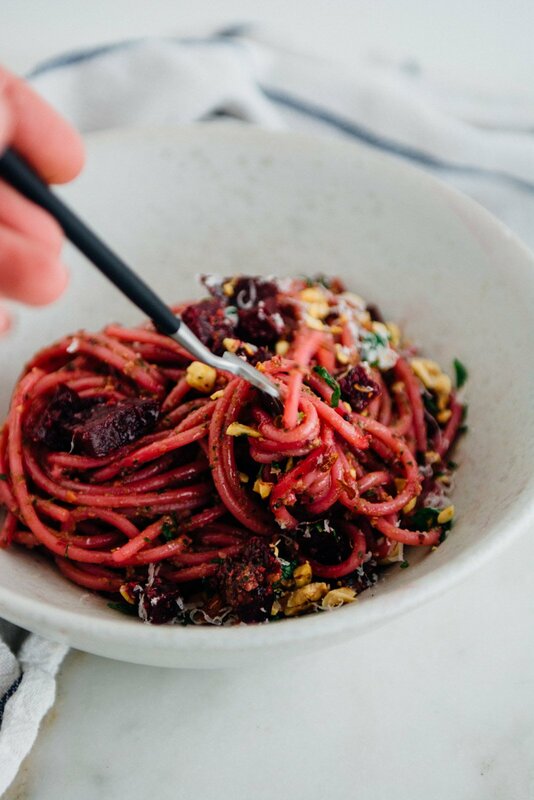 Well, I’m here to tell you that you should definitely make this roasted beet pesto pasta with it. Like right away. If you have a problem with brightly colored food, this might not be the recipe for you. 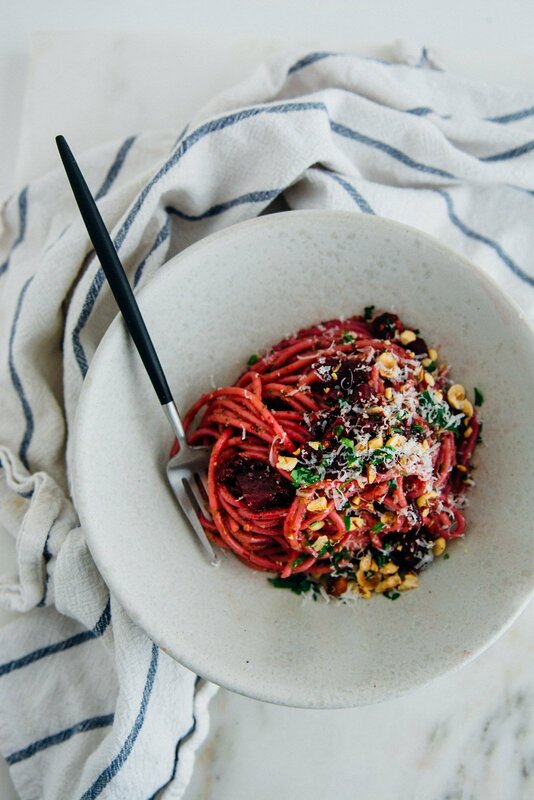 The beet pesto will make it a spectacular shade of pink, perfect for a romantic Valentine’s dinner. 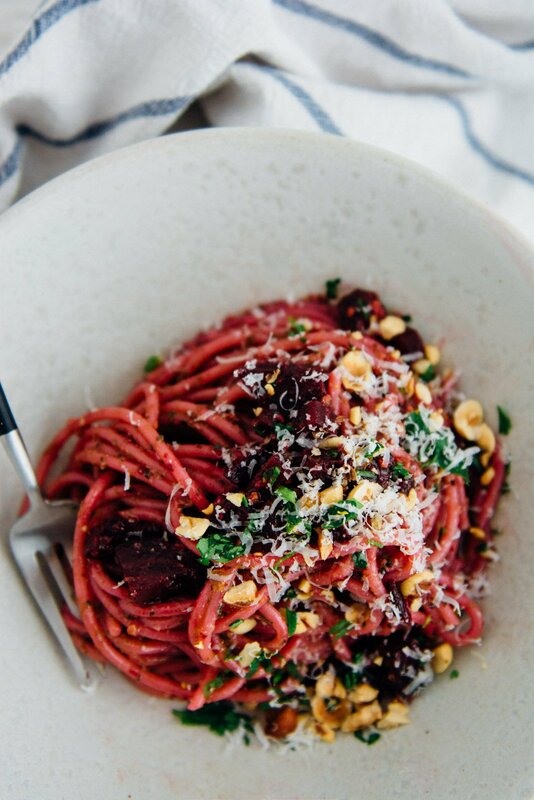 To the pesto, I added roasted beets, hazelnuts and a sprinkling of parmesan. If you are vegan, omit the cheese and add nutritional yeast instead. Goat cheese would also make a wonderful addition if you are able to eat dairy. 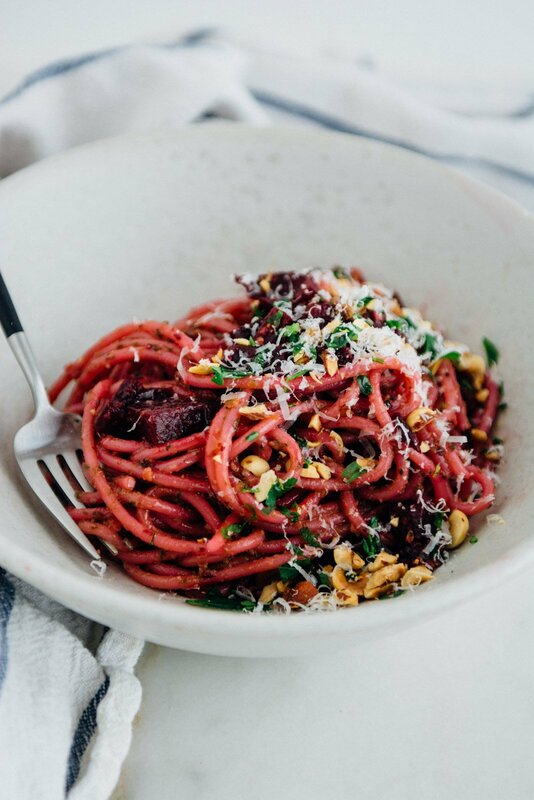 This roasted beet pesto pasta utilizes the whole beet. 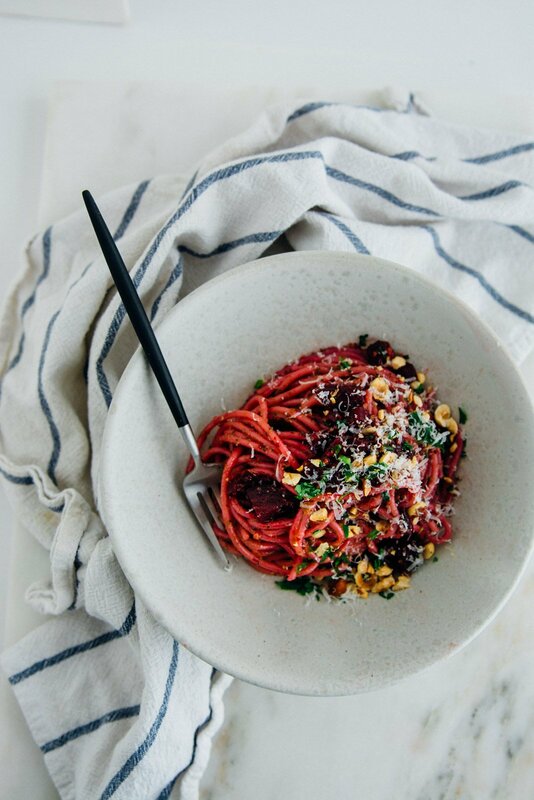 The tops are made into a pesto and the beets are roasted and folded into the pasta with hazelnuts and parsley. Trim the tops off the beets and reserve for the beet top pesto. 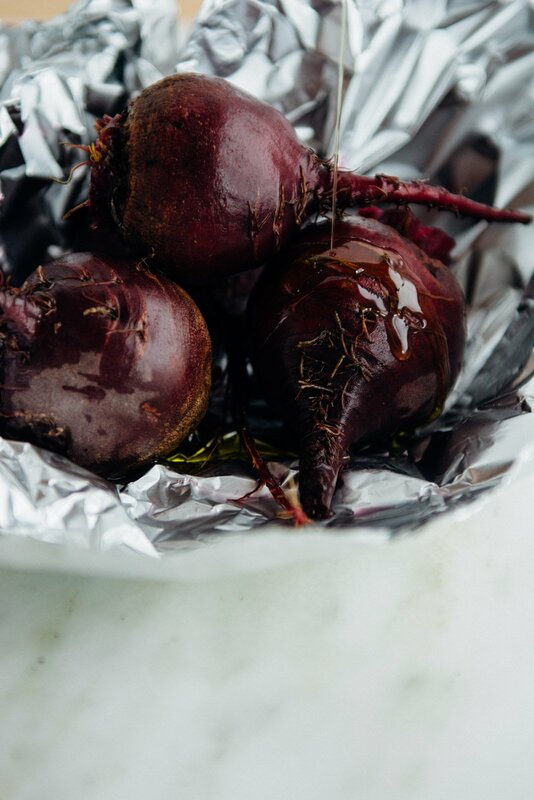 Lay the beets on a large sheet of aluminum foil, drizzle with 1 tablespoon olive oil and the salt. Enclose the beets with the foil forming a packet. 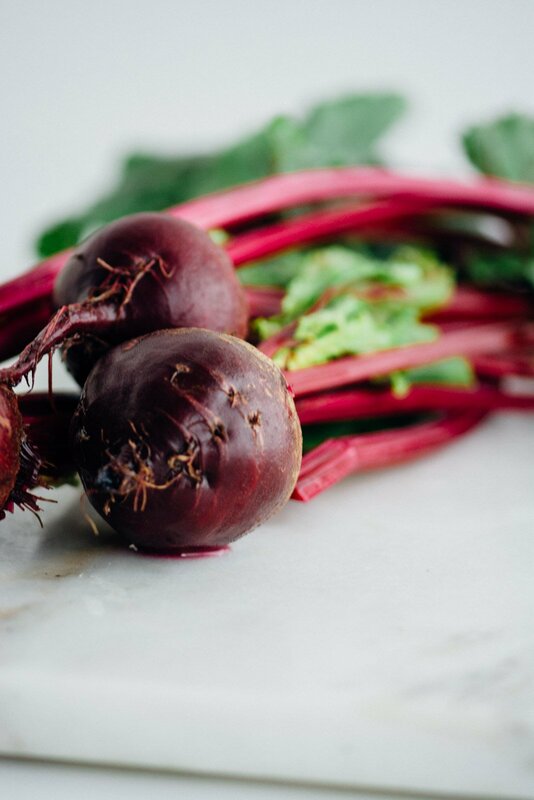 Place on a baking sheet to catch any drips and roast for 45-50 minutes or until the beets are easily pierced with a knife. Let cool slightly and then rub the skins off the beets. Slice the beets into ¼-inch cubes and set aside. Bring a large pot of water to a boil and add 2 tablespoons of salt. Cook the pasta according to the package directions until al dente, reserving 1 cup of the cooking liquid. In a large skillet add the beet top pesto and cook over medium heat just until warm. 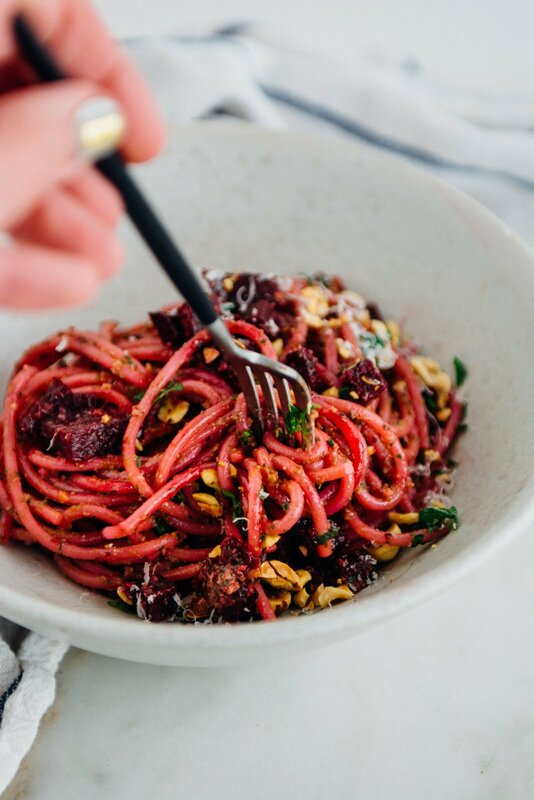 Add the pasta and the roasted beets along with a few tablespoons of the cooking water and toss to coat the pasta. Cook until heated through. To serve, top with the roasted hazelnuts and parsley and a sprinkling of parmesan cheese or nutritional yeast. 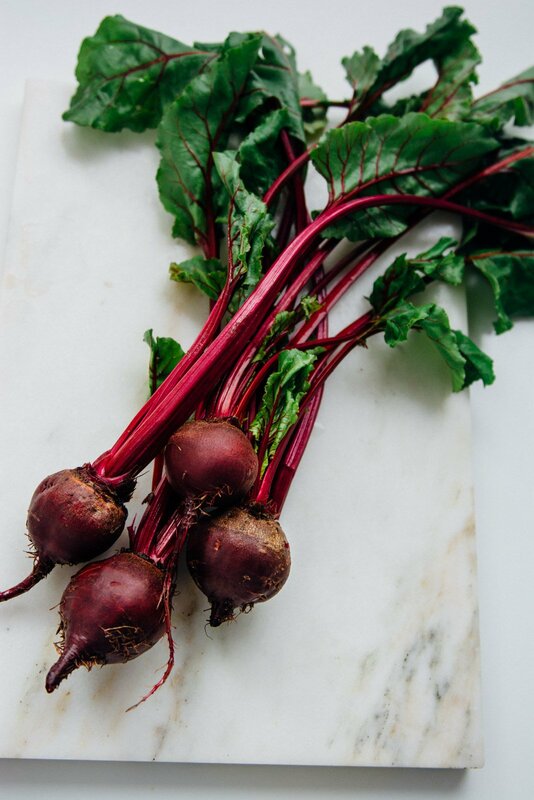 If you're short on time purchase roasted beets and use swiss chard for the pesto. To make the dish gluten-free sub gluten-free pasta. If you aren't dairy-free add the parmesan or a few ounces of goat cheese to the finished pasta.